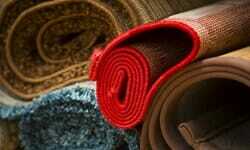 Dirt, dust, and stains tend to accumulate in upholstery over time. Using household upholstery cleaners or home remedies to clean your sofas, mattresses, and other furniture, however, is not enough. Although household cleaning tools are probably accessible, quick and easy to use, they are not as effective as you think. While in some cases, they do manage to cover up the unsightly stains, bear in mind that this does not necessarily mean that your upholstery is completely clean. Even when there are no visible stains, bacteria and allergens tend to lodge deep within your upholstery, thus potentially affecting your health. Mold, dust, mildew and other allergens that accumulate in your furniture can cause a number of medical conditions related to asthma and allergy triggers, among others. If your family’s health is important to you, it’s time to invest in professional upholstery cleaning services in Singapore. Regular professional upholstery cleaning contributes to the overall indoor air quality of your home. By engaging Singapore upholstery cleaning professionals, you can prevent harmful pollutants from spreading through the air and into your body. 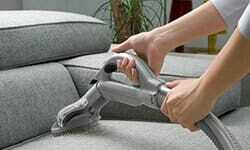 At Big Red Carpet Cleaners, a Singapore upholstery cleaning specialist, we understand the importance of clean upholstery. We use the industry’s best technology and the highest standards of service to ensure the best results. Time to Clean Your Upholstery? Time to Call Big Red! Protect your upholstery & sofa with our professional cleaning today.